Composed by Various. 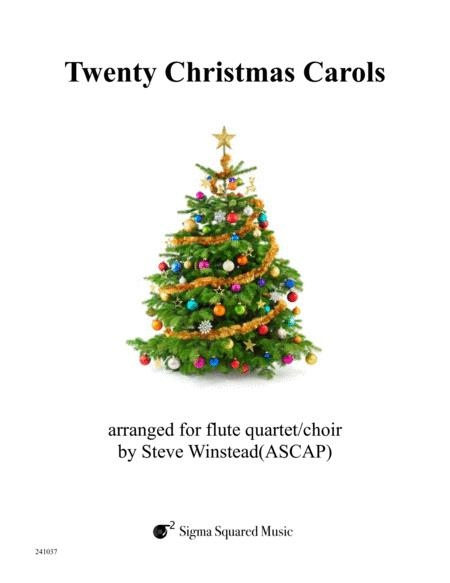 Arranged by Steve Winstead. Christian, Spiritual, Sacred, Christmas. Score, Set of Parts. 87 pages. Published by Sigma Squared Music (S0.172207). 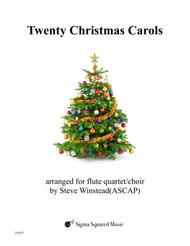 These Twenty Christmas Carols are a fun-to-play collection of well-known Christmas and holiday songs arranged in a flexible style, with a traditional feel and contemporary flavor. Each song is fairly short, but can be repeated as many times through the verses as desired. An optional introduction is notated at the end of every song, which is especially useful when accompanying singers. These arrangements are scored for three C flutes and bass flute, with an optional alto flute part provided as a substitute for flute 3. Parts are provided in both normal concert size and 5" x 7" flip folder size, for performing these carols on the move.